Andy has always had a passion for North Star, its values and the ways that it can transform its campers. Andy began at North Star as a camper himself. By the time he was a 15-year-old Counselor in Training, Andy had set his sights on being a camp director. He worked his way through the ranks on staff becoming the Junior Village Director and resident J-1 counselor. 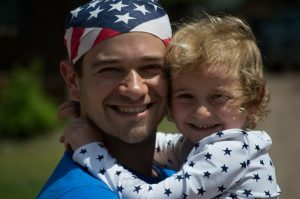 After graduating from Northwestern University, Andy spent four years working full-time as the Boys Camp Director at Camp Lenox in Massachusetts. He returned to North Star in 2009 as an Associate Director. During the 2011 summer, Andy was named a co-director, and it was announced that Andy would become the third owners of North Star, carrying on the legacy of North Star’s founders Lou and Renee Rosenblum from Leb and Sue. Andy is also the proud parent of his daughter Laney. Dan started as a camper in our youngest age group in 1985 and worked his way from camper to CIT to counselor to administrator. Dan has worn many hats through his years at North Star as he has been a Village Director, special programs director, trip leader and long-time program dirctor. Dan grew up in Deerfield, IL, and graduated from the University of Wisconsin-Madison with a degree in Political Science, and has since acquired his teaching certificate. Dan also speaks to other camp professionals about various topics including staff development. At camp, Dan oversees the program and all camp operations from his office in Denny’s Den. He loves to get out and play softball with the campers, and you can find him on “Dan’s Diamond,” named in his honor. Robyn was first introduced to North Star Camp through her close high school friends, Andy & Vickie Shlensky, and first came up to visit camp in 2003. Robyn worked at Camp Lenox with Andy & Vickie for two summers, and then in 2010, Robyn joined the North Star staff as the Office Manager. During her first five summers at camp, she helped run the office, taught waterskiing, and organized large camp activities such as Hatchet Hunts, Friday Night Services and Cruiser Days. At camp these days, you can find her driving a ski boat, playing softball as well as spending time with her husband Chris and their son Anderson. Robyn went to the University of Illinois and Washington University in St. Louis for her Master’s degree in Deaf Education. She has always had a strong passion for working with kids, parent education and keeping staff members organized and accountable. Before re-joining camp in 2018, Robyn worked for 10 years as an educator, therapist and program coordinator for special needs children. Additionally, Robyn works for Camp for All Kids as the Campership and Program School Manager. She helps recruit Camp for All Kids campers, and works with each of the partnering camps and schools. Robert and Sue Lebby have dedicated their lives to working in youth development. Robert graduated from Duke University with a BS in Management Science. He attended Duke on a football scholarship, earned 3 Varsity letters in football (freshmen couldn’t play in those days) and 2 letters for participating on the track team. These experiences make him uniquely qualified to understand the type of program necessary to create an environment where all boys, regardless of athletic ability, are able to participate, have fun and enjoy playing competitive games without fear of being ridiculed and made fun of for making a mistake or an error on the field. Leb is often quoted saying, “If the game isn’t fun, change the game.” He also completed course work in outdoor education and camping administration from George Williams College and earned a teaching certificate in Physical Education from Cleveland State University. Sue graduated from the University of Wisconsin-Madison with a bachelor’s degree in nursing. Sue has over 30 years of nursing experience. Her work at Children’s Hospitals in Minneapolis and Milwaukee gave her a great foundation to supervise the health and safety of our campers and staff. Sue was the camp nurse at North Star prior to marrying Leb. Both are active in the American Camp Association and Robert recently completed his term as President of the Association of Independent Camps where he also served on the National Board of the American Camp Association. Sue and Leb are the proud parents of Kacy and Garrett, and grandparents of Chase.